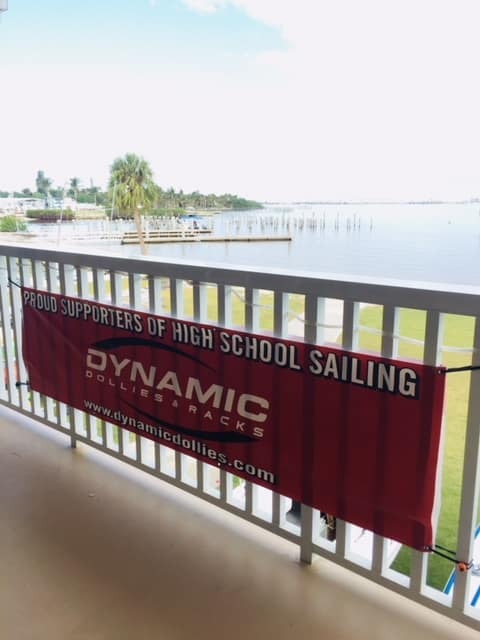 Dynamic Dollies & Racks is proud to support our sport by sponsoring both athletes and events. 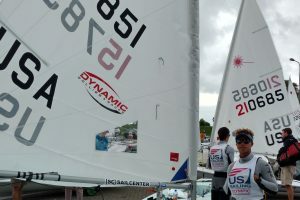 Please see the bottom of the page for how to join the Dynamic Sailing Team. 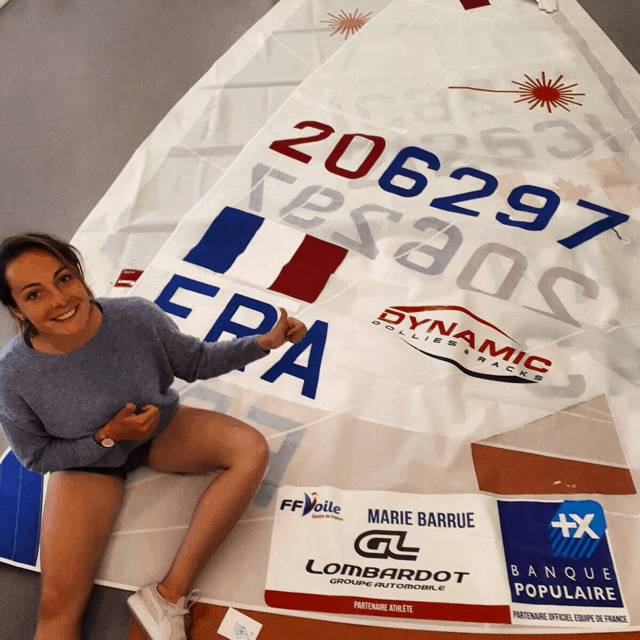 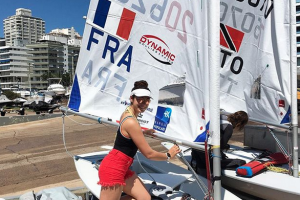 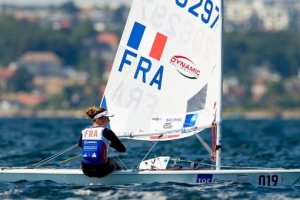 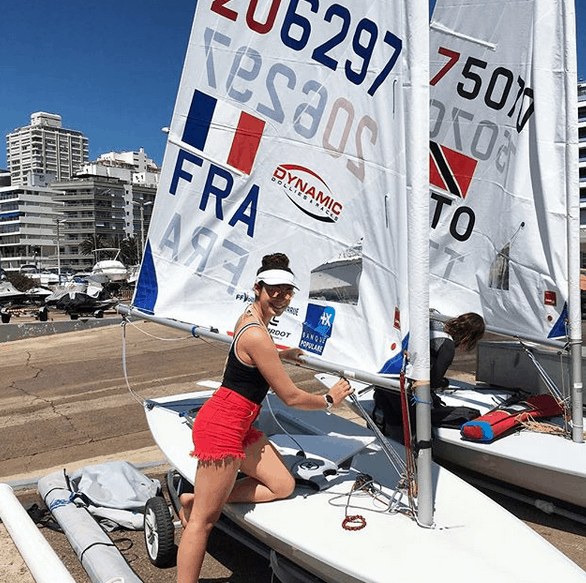 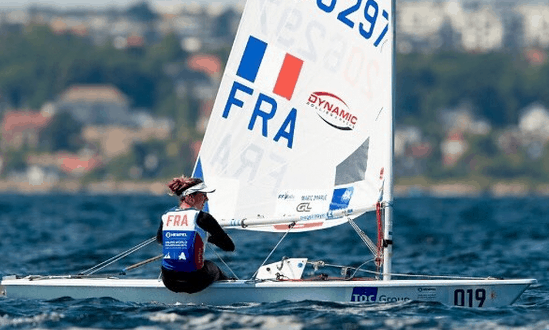 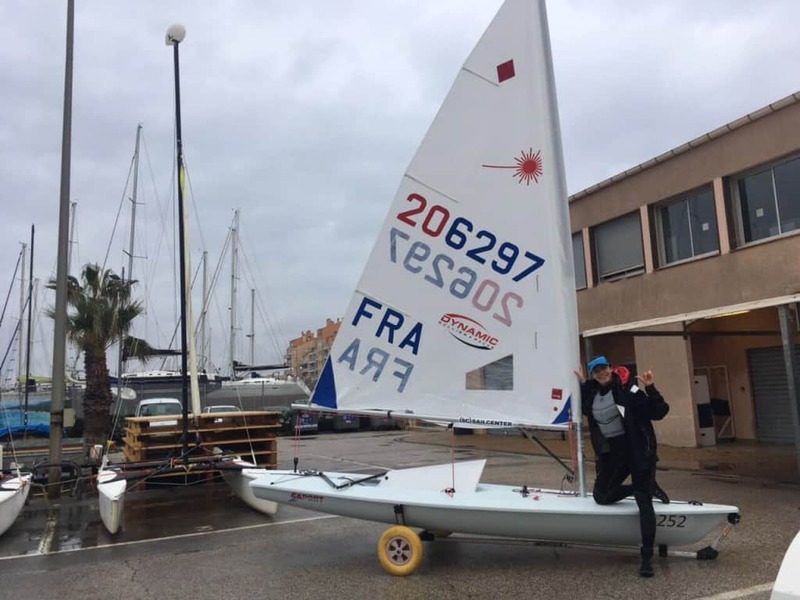 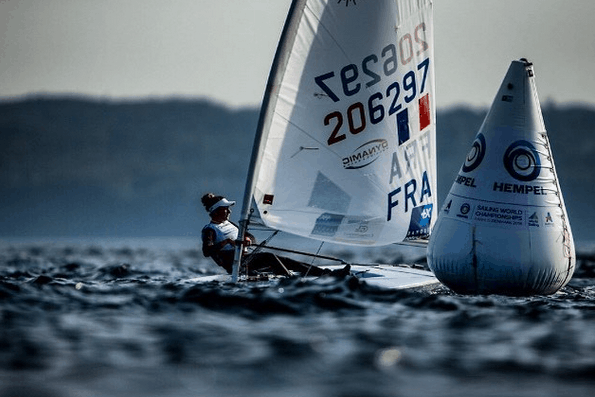 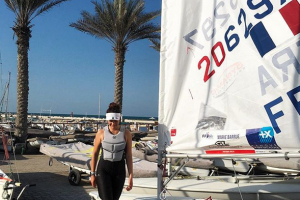 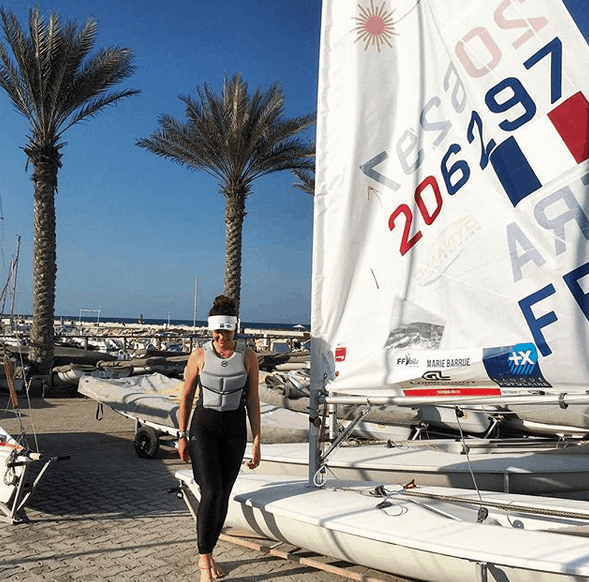 Marie is a French Laser Radial sailor campaigning for the 2020 Olympics in Tokyo. 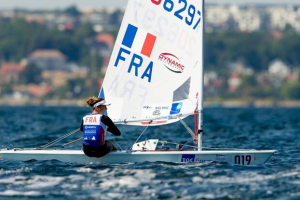 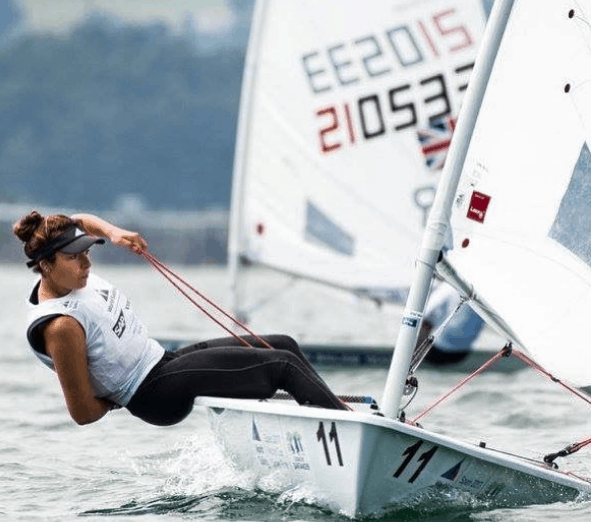 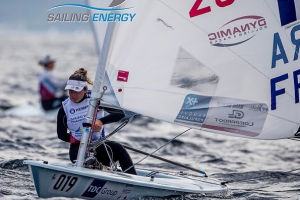 Marie recently finished 34th at the recent Sailing World Championships in Aarhus Denmark. 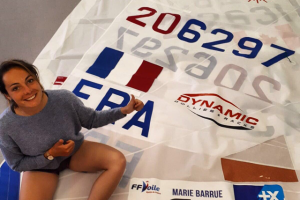 Way to go Marie! 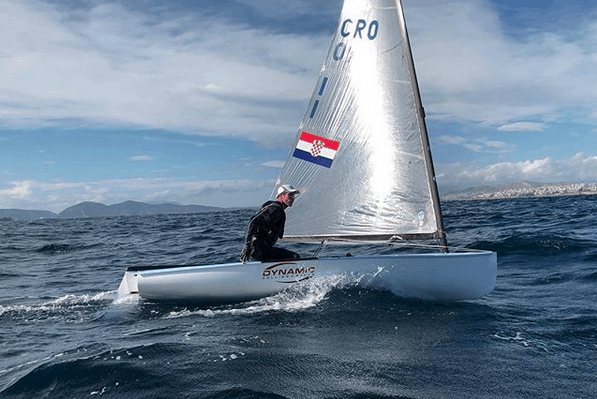 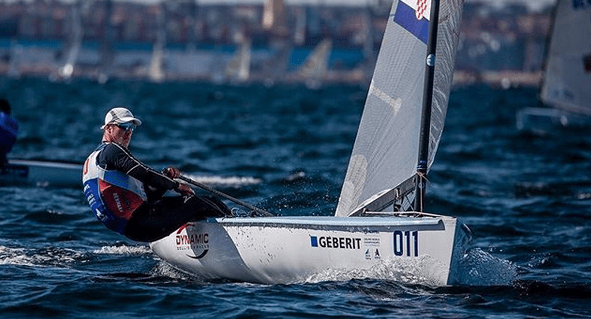 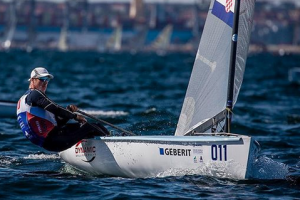 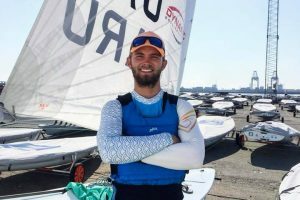 Josip is a Finn sailor from Split, Croatia with aspirations for the 2020 Olympics. Josip has a robust regatta schedule and his results are starting to show it! 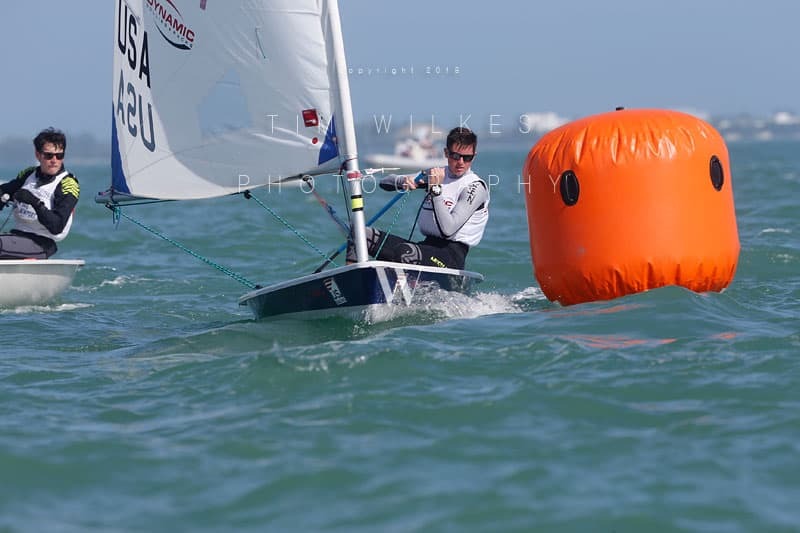 He’s recently competed at the World Championships, European Championships, World Cup Finals, and World Cup events in Hyeres and Miami. 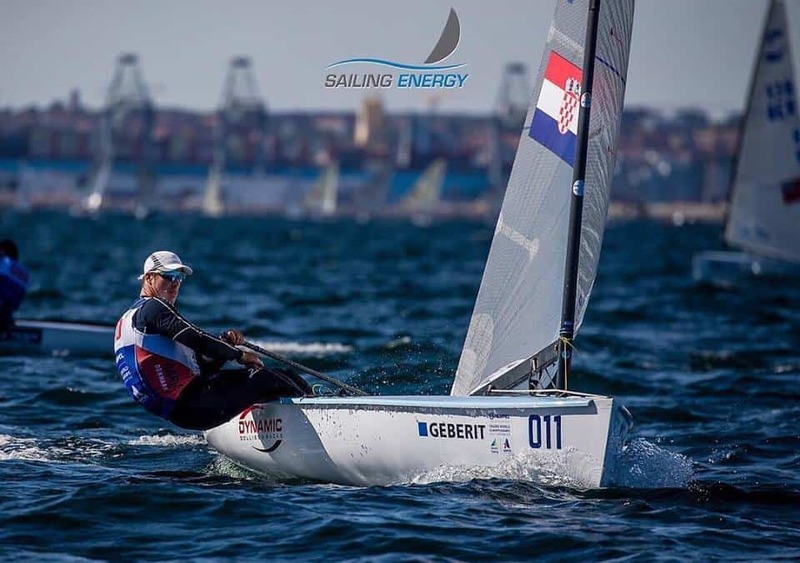 Josip’s greatest strength is his boat handling, both upwind and downwind. 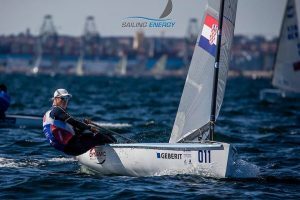 Josip’s tactics and strategy are his biggest areas that he is focusing on improving during the 2018 season. 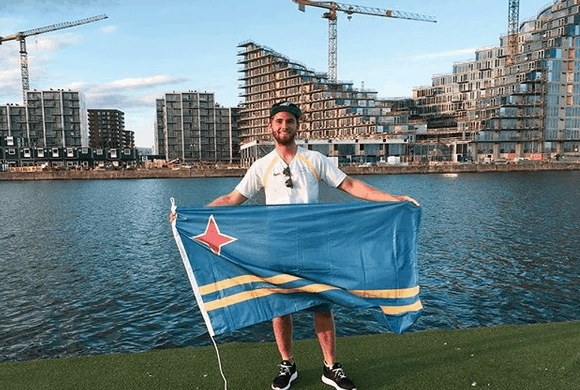 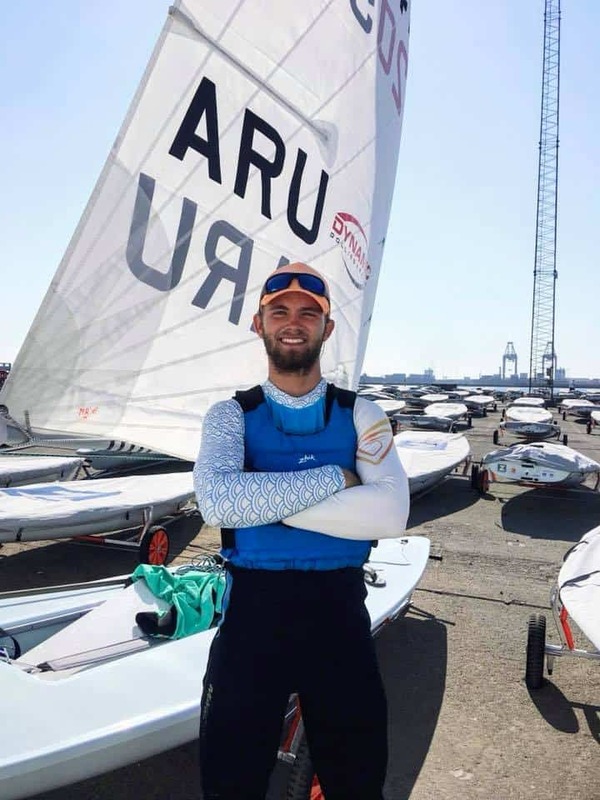 Josip recently finished 11th at the World Sailing Championship in Aarhus, Denmark! 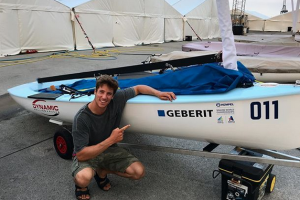 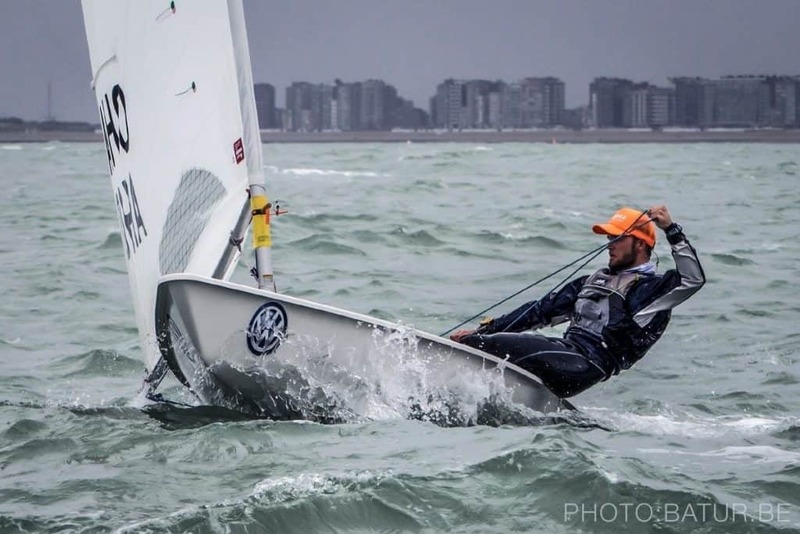 Tijn is a talented young sailor who is looking to qualify for the 2020 Olympic games from Aruba. 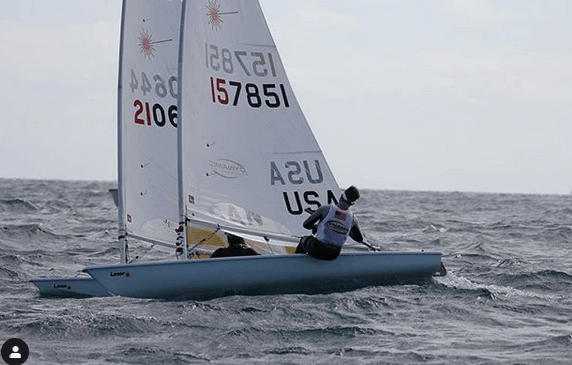 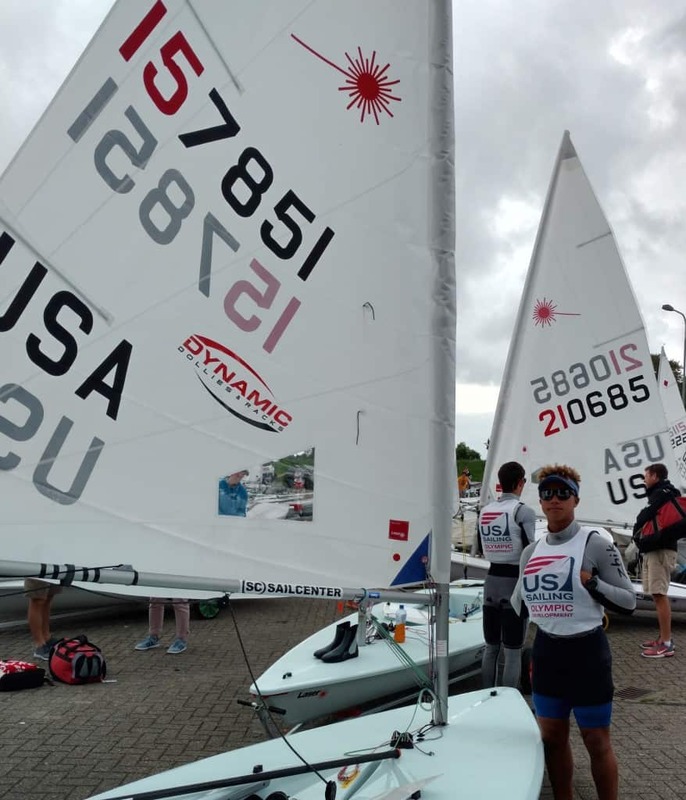 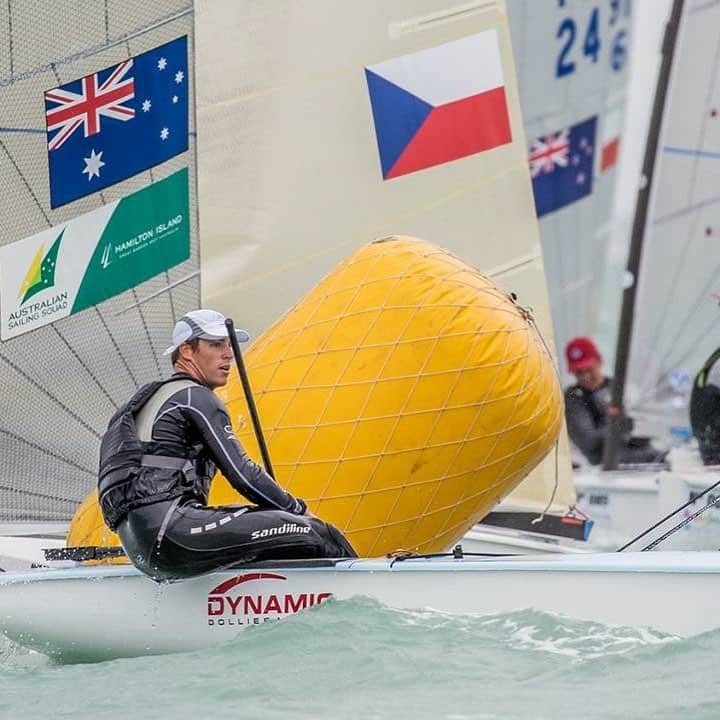 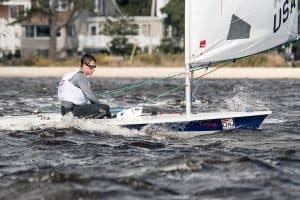 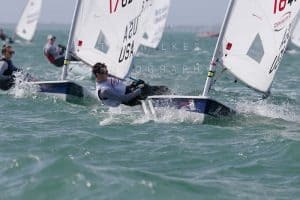 His goals for the 2018 season are to qualify for the PanAm Games, get accustomed to living, sailing, and training in Europe, and figure out the best way to combine his academic pursuits and sail at the same time. 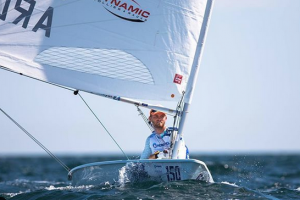 On the water, Tijn is especially fast in big breeze upwind and is working on improving his consistency, big fleet tactics, and overall strategy. Forrest Wachholz is a disciplined young sailor who has achieved great results in Canada and in the US. 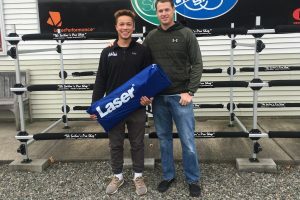 Forrest is determined to achieve his goals but remain the same helpful human being. 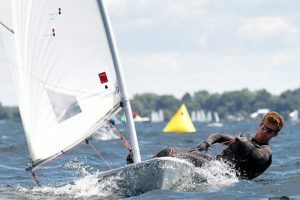 Forrest sails in Kingston, Ontario while in college. 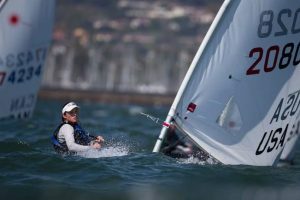 Amanda is the head coach and waterfront director for the Roger Williams University Sailing Team, a perennial college powerhouse. 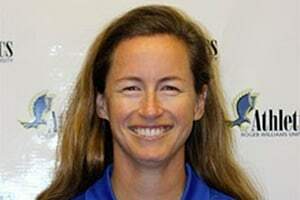 She took on this role in the summer of 2007. 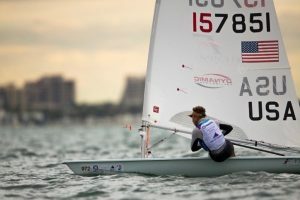 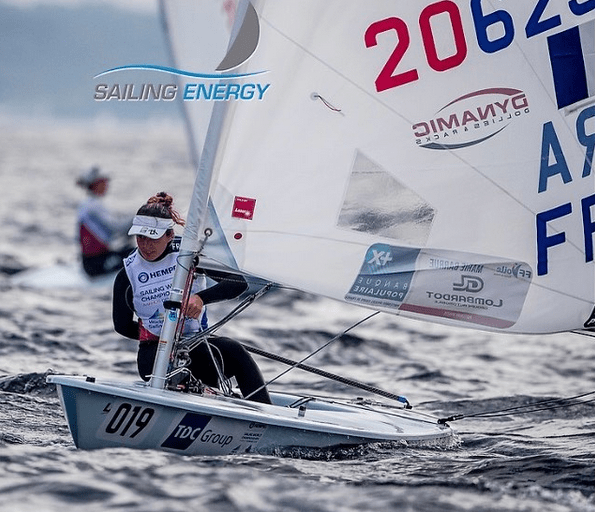 Amanda is a decorated sailor in her own right with multiple national and international team racing championships with her team, “Silver Panda”. 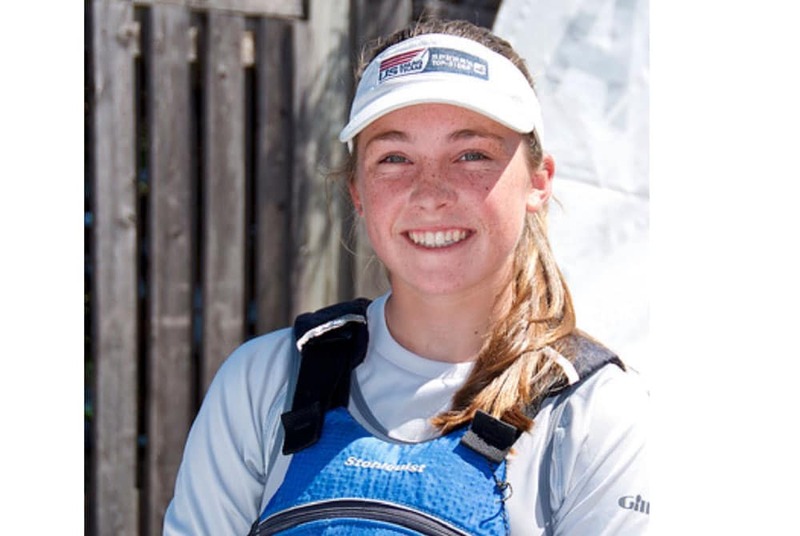 Callahan has recently taken the Sunfish class by storm – she won the Barrington Regional this summer and is on the podium at almost every regatta she attends. 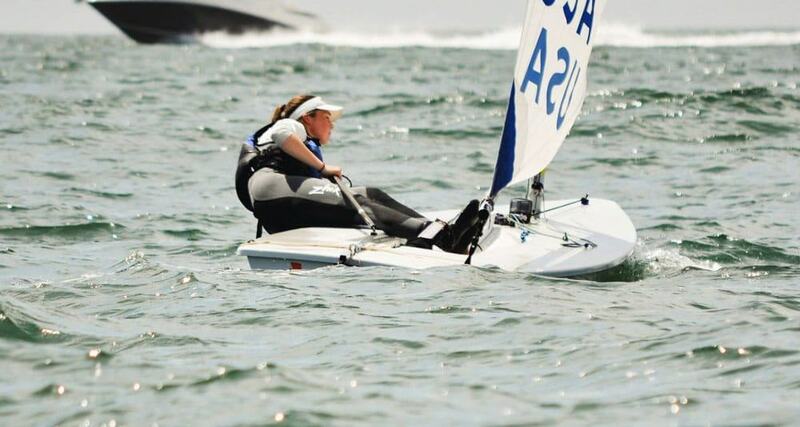 Amanda and her long term partner, Colin Merrick, reside in Portsmouth, RI with their cat. 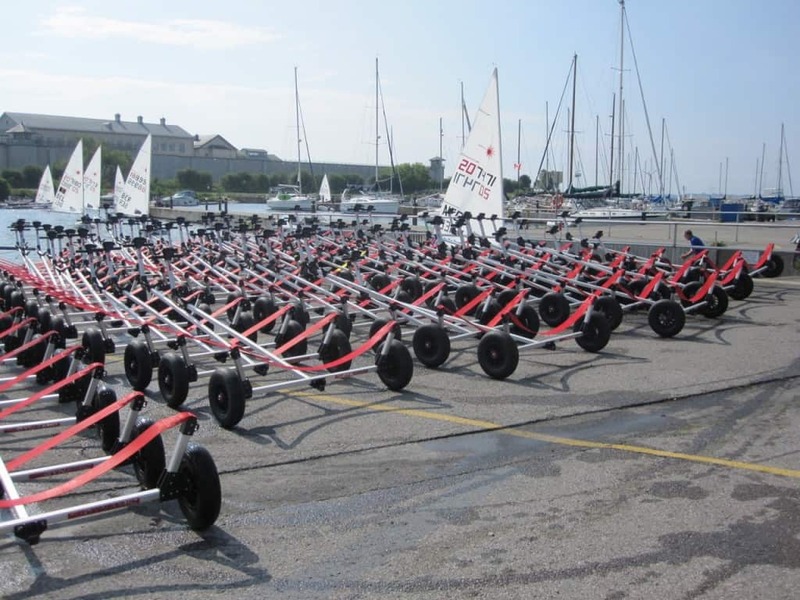 You might see Amanda at local regattas with her Dynamic Dolly Trailer Combo System. 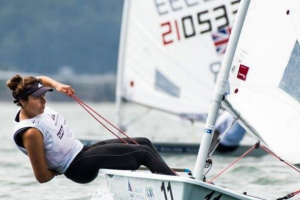 This allows her to bring two boats, one of which she can unload unassisted! 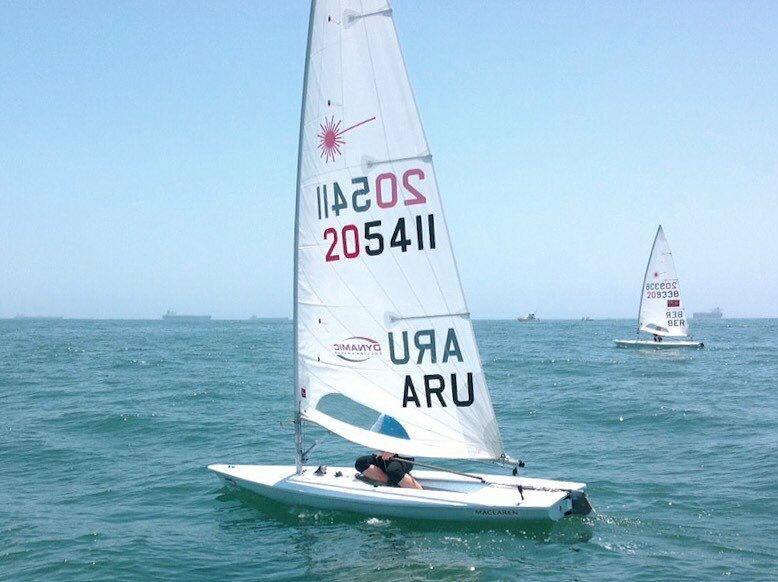 The second boat she often brings for a sailors she’s introducing to the Sunfish class. Leo Boucher is a 2 time Orange Bowl champion with many other impressive worldwide results. Leo’s enthusiasm and gentle character make him very popular among the other sailors. 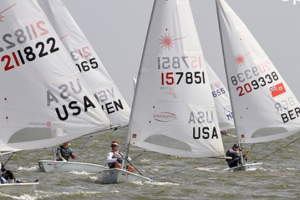 Leo usually sails in the mid-Atlantic area and is a member of the Severn Sailing Association (SSA) in Annapolis. Leo intends to study engineering and be part of a college sailing program; he is currently in his senior year of high school and is looking at several colleges and universities including Tulane, Dartmouth, Roger Williams, St Marys, ODU, and Hobart. Mike is a young Laser sailor from the Mid Atlantic who you’ll see more and more on the scene in the next few years. 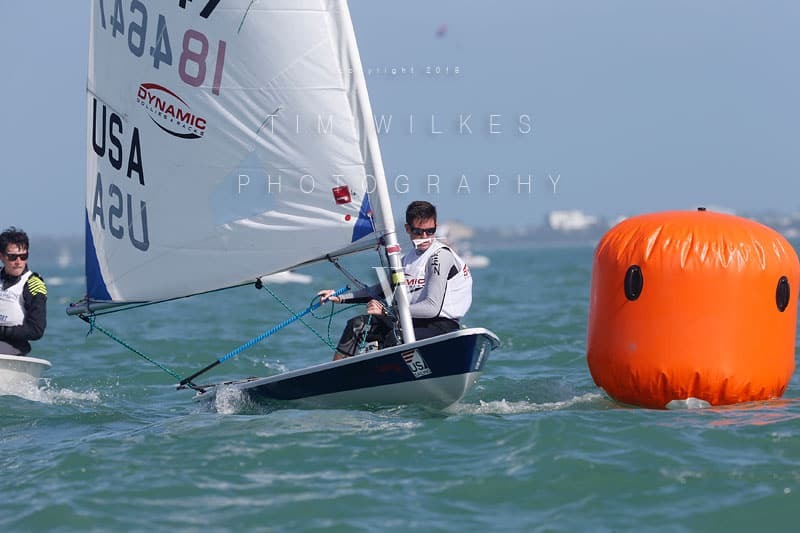 He was 5th at Cork in 2018 and is planning on attending a bunch of big regattas in the next year: Orange Bowl, NAs, US Champs, Midwinters East, Youth Champs. Mike is super fast down wind, to which he credits his extensive practice off the breeze. 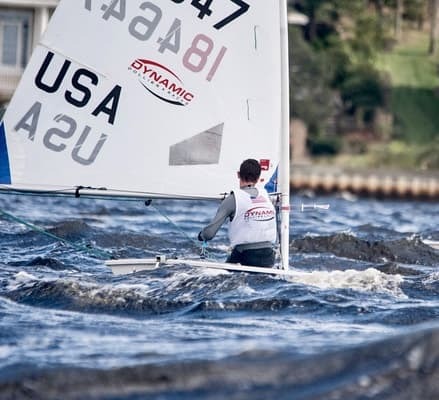 Mike says he needs to work on the physical aspects of his sailing – especially for those windy days. Watch out, Laser World! 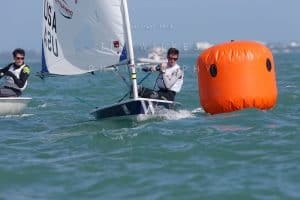 If Mike gets any faster, you might not be able to keep up! 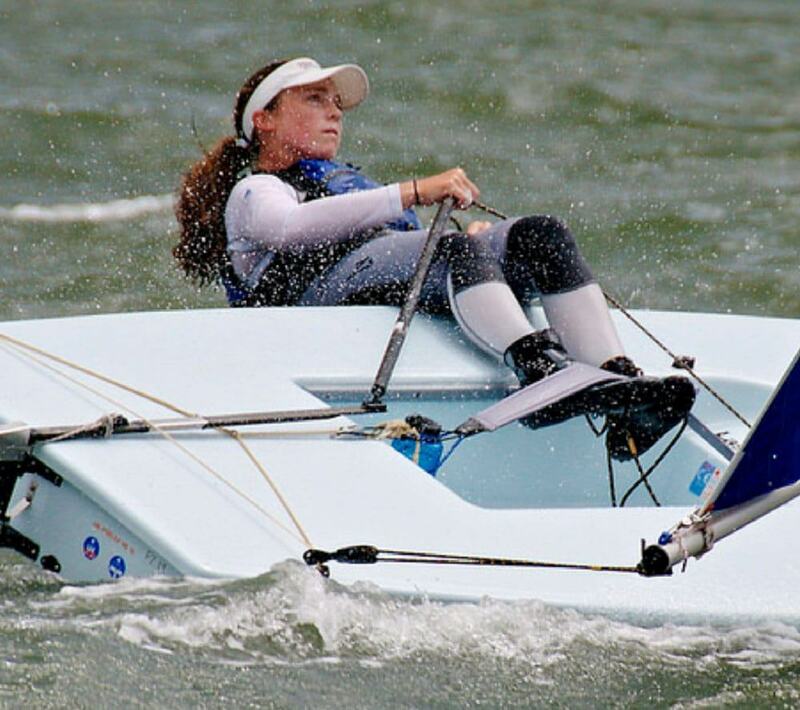 Sarah Young is an up and coming Laser sailor with an impressive regional and national results. 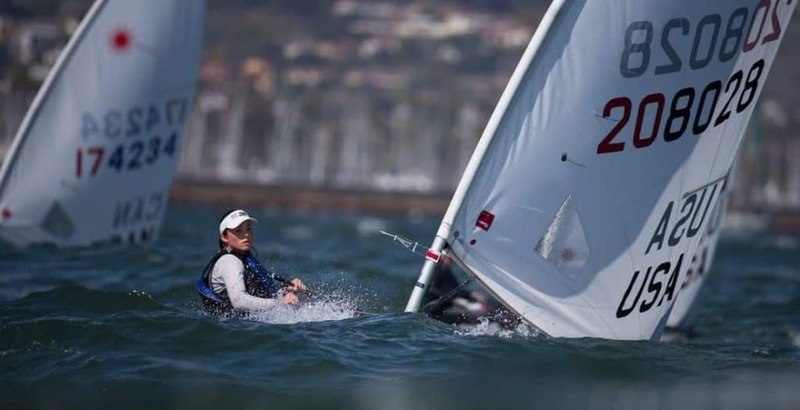 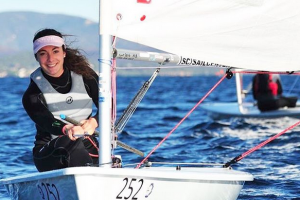 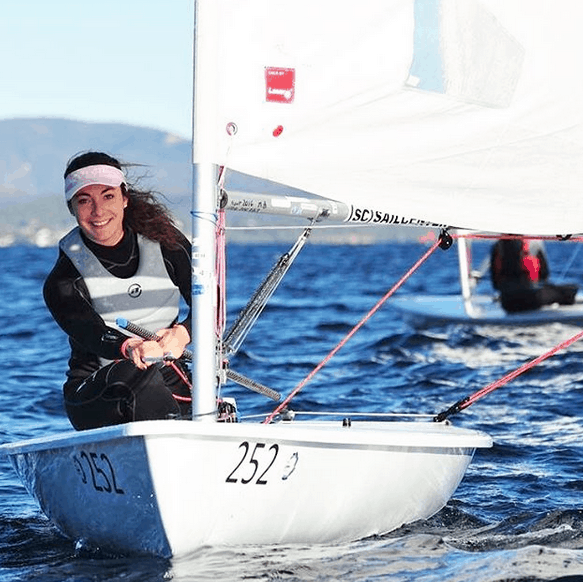 In 2019, Sarah will be sailing a ton of San Francisco Bay Area regattas as well as a handful of clinics on the national level. 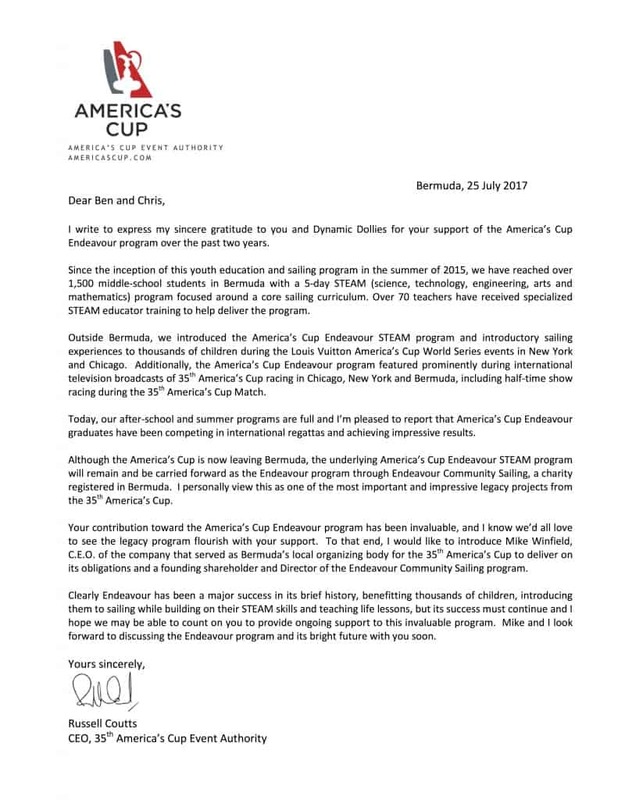 Sarah’s goal for 2019 is to win the Letter Cup. 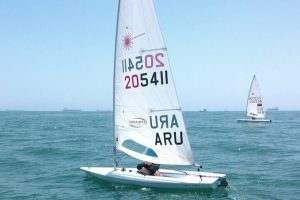 It is on her home turf, San Francisco Bay! 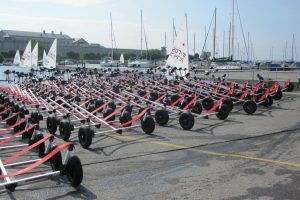 She’s been training hard and thinks it will pay off. Sarah says her greatest strengths on the water is her endurance in breezy conditions and her ability to see the shifts and puffs on the course and translate that to a solid race strategy. 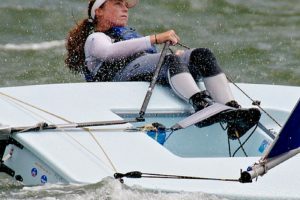 This year, she’ll be working hard to improve her light air boat handling; San Fran doesn’t have too many light air days! 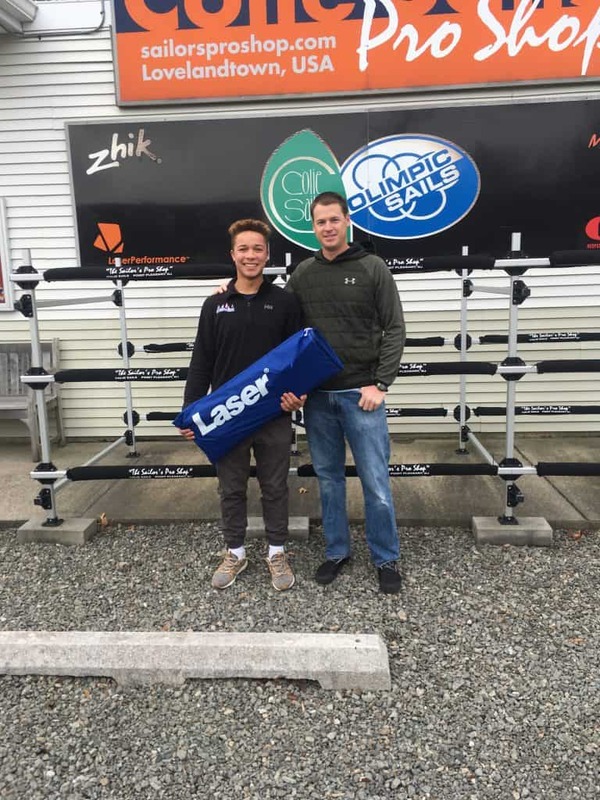 DYNAMIC DOLLIES & RACKS ANNOUNCES SPONSORSHIP PROGRAM FOR ASPIRING ATHLETES. 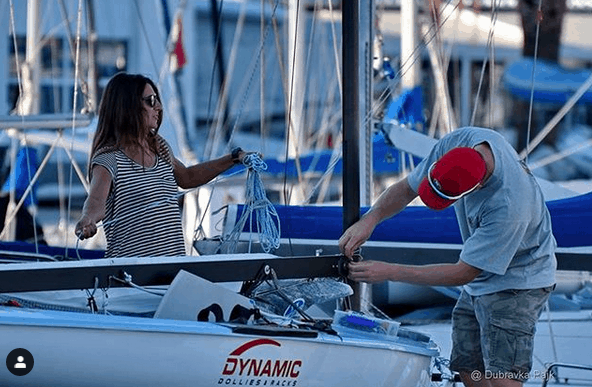 Dynamic Dollies & Racks LLC is excited to announce the launch of their 2018 Sponsored Sailor Program. 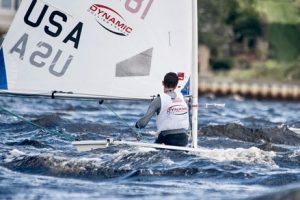 Dynamic is interested in athletes from classes like the Laser, Sunfish, C420, RS Aero, and 29er to participate in this program. 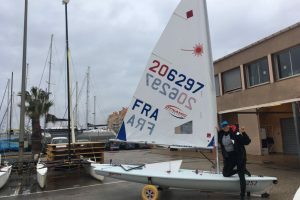 2018 sponsored sailors will benefit from a new Dynamic Dolly and a new class legal racing sail. 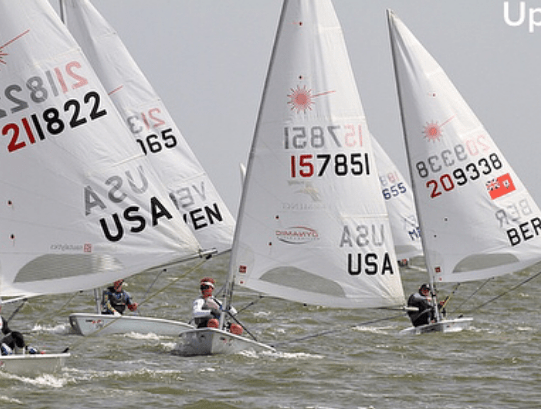 We’re interested in you! To submit an application to join the Dynamic Sailing Team, please send us your sailing resume and a short video telling us why you’d be a great addition to the team. 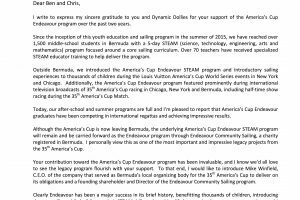 Submissions should be emailed to info@dynamicdollies.com. 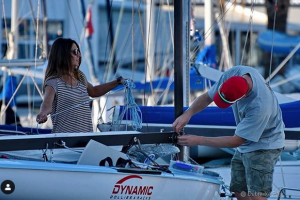 Dynamic Dollies & Racks manufactures the best dollies and racks for the small-boat owner community. 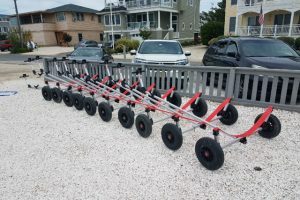 Our company manufactures standard dollies, racks and parts but will also build custom items to satisfy individual needs. 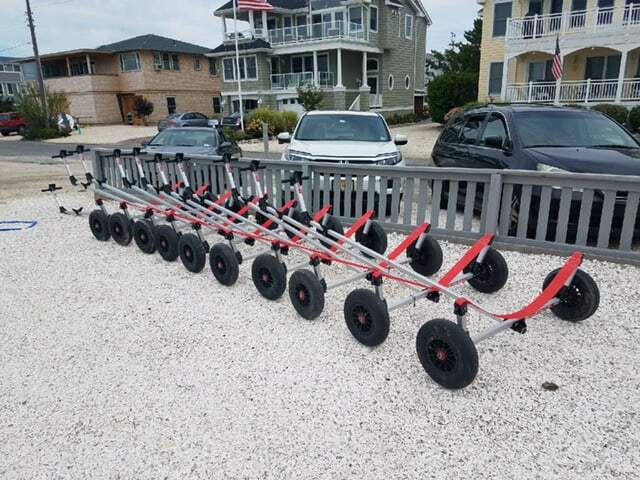 We only use materials that will last. 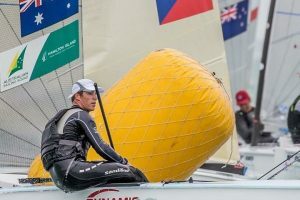 Materials have been specifically chosen for their durability, resistance to weather, and functionality. 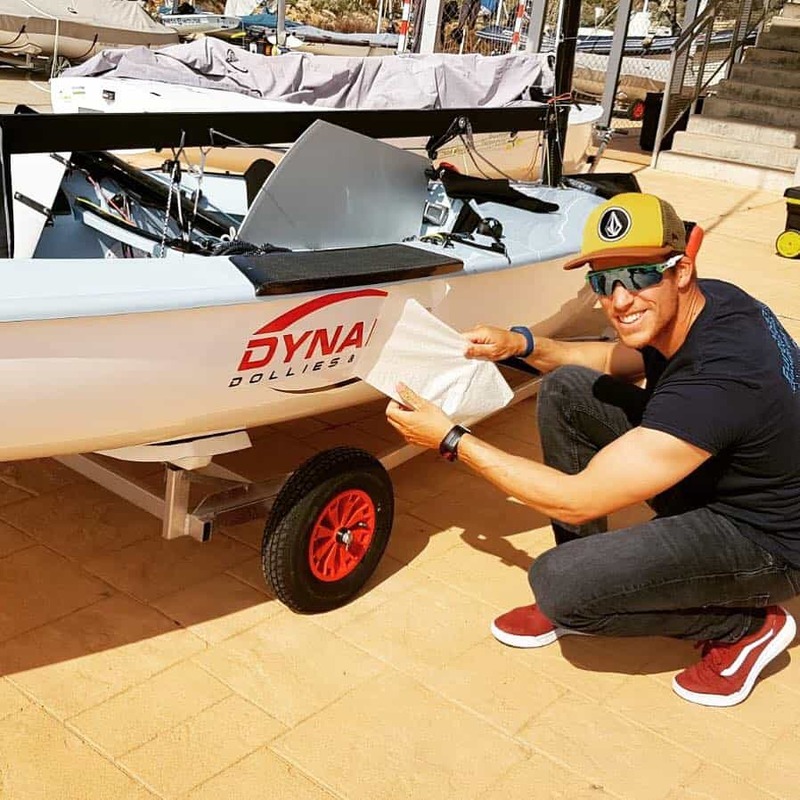 Our aim is to make your boating experience more pleasurable by providing a problem-free way of moving your boat in and out of the water and storing it safely when not in use.